For law students and lawyers to successfully understand and practice law in the U.S., recognition of the wider context and culture which informs the law is essential. Simply learning the legal rules and procedures in isolation is not enough without an appreciation of the culture that produced them. 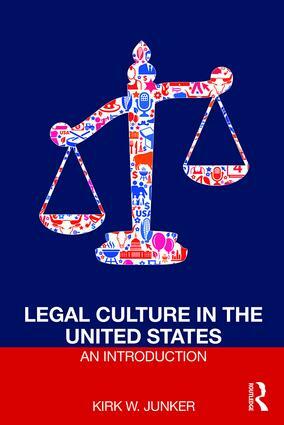 This book provides the reader with an understandable introduction to the ways in which U.S. law reflects its culture and each chapter begins with questions to guide the reader, and concludes with questions for review, challenge and further understanding. Kirk W. Junker explores cultural differences, employing history, social theory, philosophy, and language as "reference frames," which are then applied to the rules and procedures of the U.S. legal system in the book’s final chapter. Through these cultural reference frames readers are provided with a set of interpretive tools to inform their understanding of the substance and institutions of the law. With a deeper understanding of this cultural context, international students will be empowered to more quickly adapt to their studies; more comprehensively understand the role of the attorney in the U.S. system; draw comparisons with their own domestic legal systems, and ultimately become more successful in their legal careers both in the U.S. and abroad.